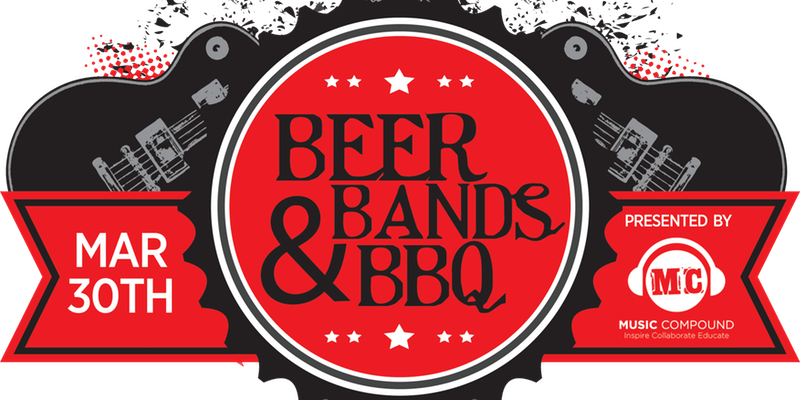 The Music Compound’s 5th annual Beer, Bands & BBQ is back on March 30, 2019 from 11am – 4pm. 10 bands including on the main stage: Kara & Kaleidogroove, Experimental Farm Road and more! Students from Music Compound will perform between sets. Food trucks and beer available throughout the day. VIP Bands are available for $15 and include food samplings and a beer.